Mike Fontenot, Cubs role-player extraordinaire and Owen Wilson stunt double. Who is the new Michael Barrett? 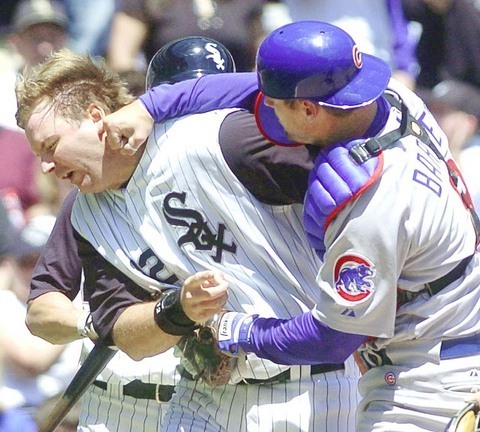 So the White Sox are headed to the North Side for the weekend’s Crosstown Series. The Cubs come limping into Wrigley after getting swept for the first time this year….by the Tampa Rays. That just doesn’t sound right.